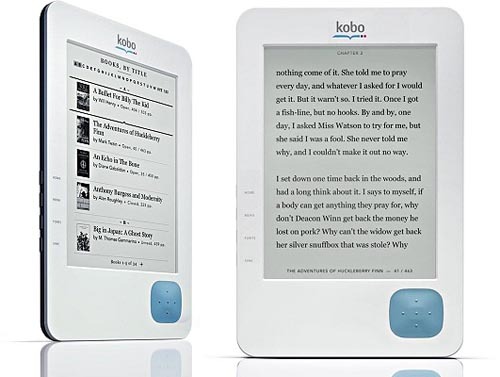 The ‘Kobo’, an anagram of the word ‘Book’, enables you to browse and buy with WiFi and have a library of up to 30,000 books! Reading made easy! It is a lightweight & compact touch screen that you can take anywhere! No more uncomfortable holding positions or wrist pain! It even has a library where you can rent books for free! 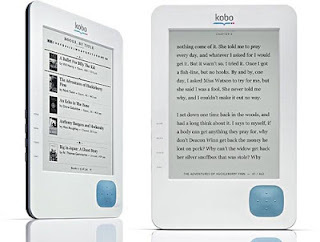 The unique thing about the Kobo is that there is no glow or light coming off of the screen. This prevents damage or soreness to your eyes. I thought it wasn't even turned on when I saw it because it looks like real paper! My favourite thing about the Kobo is that it has a built in dictionary. So when you come across a word you don’t know, you can click on it and find the definition within seconds! It also allows the reader to personalize the font, font size, and paragraph spacing. The Kobo costs only $100 dollars and you start off by getting 3 books for free. Earn points and rewards as you read. It also recommends other books you may like according to what you have on your library.